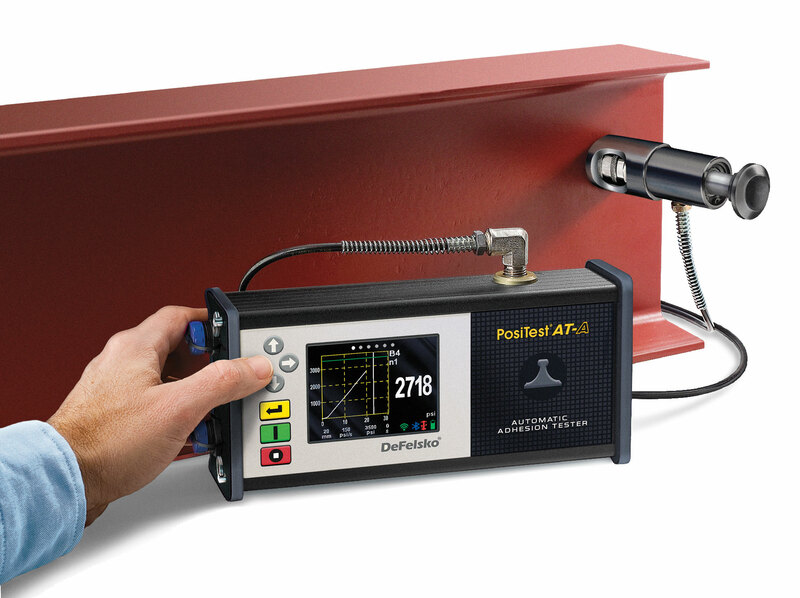 The PosiTest AT Pull-Off tester measures the adhesion of coatings of metal, wood, concrete and other rigid substrates. The system uses its hydraulic pump to pull the dolly which has been glued to substrate and record the force applied when the failure happens. 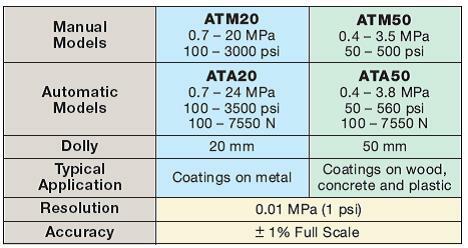 It is widely used in construction QA process as a time-saving and reliable method to ensure there is sufficient adhesion between the coating and substrate. 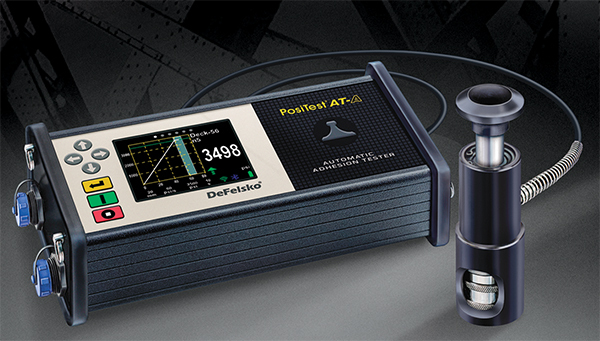 The manufacturer DeFelsko has been one of the most leading supplier of coating testing and inspection instruments since 1965. The systems are available in both Manual and Automatic modes. 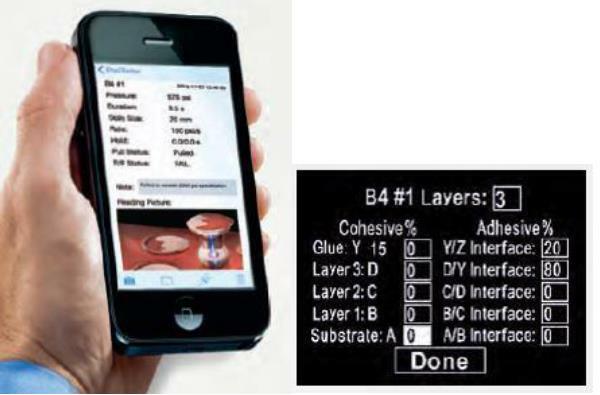 The PosiTest Adhesion Tester compensates for misalignment. The self-aligning, quick-coupling actuator and spherical articulating dolly head enable uniform distribution of the pulling force over the surface being tested, preventing a one-sided pull-off.